On Wednesday 10 May 2017 the 2nd Year students at the Royal Ballet School, Upper School in Covent Garden performed a selection of their choreographies for the Ursula Moreton Choreographic Award. Nine students were shortlisted to show their choreography, collaborating with fellow dancers to direct and stage the work. Each piece was then performed to an audience, including the judging panel: Aletta Collins, Kevin O’Hare, Wayne McGregor and Christopher Wheeldon. Congratulations to the 2017 winner Rebecca Blenkinsop, with her piece Fajjar. She started dancing at the age of 11 and was accepted into the Victorian College of Arts Secondary School in Melbourne. 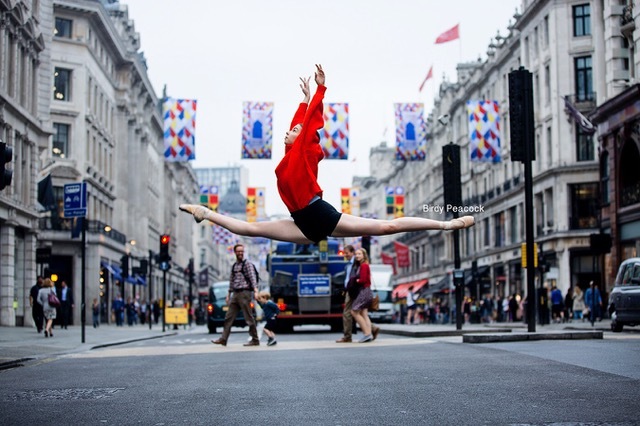 Now in her third year at The Royal Ballet School we look forward to watching this talented young dancer’s career blossom over the coming years. Rebecca’s award has been kindly donated by John Frost AM as part of The Leanne Benjamin Awards. Please contact us james@taitmemorialtrust.org if you would like to support a young Australian or New Zealand dancer. The Ursula Moreton Choreographic Award, generously supported by Peter Wilson, was created in 1973 to encourage choreographic talent. Winners have included Adam Cooper, Matthew Hart, Michael Clark, Jonathan Burrows, William Tuckett, Christopher Hampson, Christopher Wheeldon, Cathy Marston and Liam Scarlett, all of whom have gone on to have careers as choreographers. It is an annual opportunity for students to create their own choreography. Each student is given two formal showings with feedback from guest choreographers, and regular discussions and meeting points to reflect on the students’ progress. For the choreographers and their contributing dancers, this learning and development process has been a rich and rewarding time. These are the first or second pieces made by these choreographers and the award performance is followed by a feedback session with one of the judges. The school is extremely grateful to receive funding for the creative and improvisation workshops. These stimulate ideas and encourage creative development in the choreographers and their dancers. It also enables music advice, guest choreographic feedback and collaboration with professionals on design, to realise the choreographers’ ideas for costume and video projection. Our thanks go to The Royal Opera House Covent Garden Foundation and June Drew, in memory of David Drew. We are also grateful to Peter Wilson who generously sponsors the competition. The choreographic programme runs across two years at the Upper School, offering improvisation and choreographic strategies in a range of projects. In the 1st Year, students create short sketches on a given theme, whenever possible with live music and also see performances by visiting companies. In the 2nd Year, all students are involved in the Ursula Moreton Choreographic Award. Three young Australian ballet dancers are the lucky recipients of funding from the Tait Memorial Trust, Leanne Benjamin Awards in 2016. 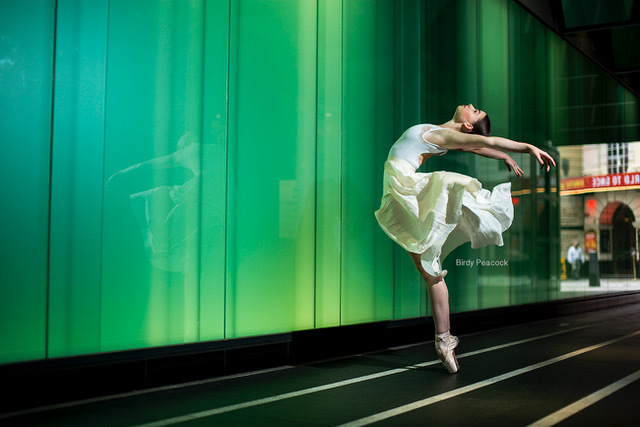 Created in 2014, to honour the career of Australian principal ballerina, Leanne Benjamin AM OBE to assist with the costs that young Australians face when they come to study in the United Kingdom. Carefully selected by Leanne Benjamin personally we are delighted to announce our support of these talented young artists. for the last three years has studied Cecchetti. She completed her final examination of ‘Advanced 2’ with a score of 100%. competitors, Rebecca received the second prize and was recognized as ‘The Most Promising Dancer’. Rebecca’s Cecchetti success continued this year when she won the National Lucie Saranova Gold Medal section. In January 2015, she was also delighted to be a finalist in the prestigious Prix De Lausanne in Switzerland where Mr Powney first saw her. Rebecca had the opportunity to perform the role of a child ballerina with Victoria Opera, in their production of ‘La Traviata’. She was also cast in several lead roles in her school productions, her most memorable being a ballet work of Opus 47 choreographed by English-born dancer Jonathan Taylor. 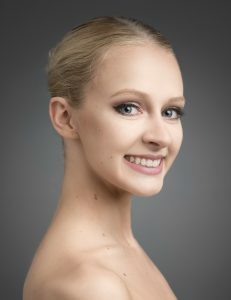 Rebecca has received her ballet training from some amazing ballet teachers over the last few years, three of whom trained at The Royal Ballet School. 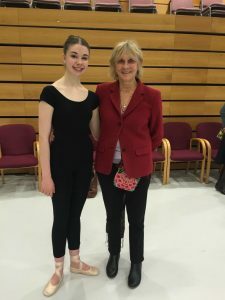 Rebecca feels honoured to have been selected to attend The Royal Ballet School and looks forward to receiving what she considers is the best available teaching and the opportunity to train with exceptionally talented students. This is Rebecca’s second year with The Royal Ballet School and as a LBA recipient. Chloe Keneally studied at the Debra Whitten School of Dance, Australia. In January 2016 she auditioned for the English National Ballet School and was accepted immediately for commencement in September. In April 2016, Chloe competed in the 2016 Youth America Grand Prix finals in New York following a successful video audition in December 2015. In 2015 she was selected to participate in The Royal Ballet (Upper School) Summer School in London as one of five Australians. Chloe participated in the City of Sydney Eisteddfod and was a Finalist in the Robert and Elizabeth Albert Scholarship (top 8%) and then placed 2nd (out of 80) for the 15 years classical section. Lauren has been dancing since the age of 4 at a local dance school, under the guidance of Kim Traynor. Through the encouragement of her teachers, her love of ballet was fostered. After performing with the Australian Ballet, in The Nutcracker, her dream was set. Shortly after, she became an associate of the Australian Ballet School, maintaining this position for 4 years. In 2012, Lauren decided to focus on ballet and moved to The McDonald College and was taught by various teachers including Jane Kesby, Josephine Jason and Allan Cross. to continue her training. Moreover, Lauren performed various roles for the Premier State Ballet. This year, Lauren was offered numerous places at various schools across Europe, but has decided upon attending the English National Ballet School, commencing this September. Along with performing choreographed dances, Lauren has taken a passion to choreographing her own dances including; a contemporary piece she performed at the Sydney Eisteddfod Ballet Scholarship Finals and a classical solo which won the Classical Ballet 17/o section at Sydney Eisteddfod. via Producer John Frost and Artistic Director Lyndon Terracini Awarded Australian Honours. The Tait Trust are delighted to announce that John Frost AM has kindly agreed to be a new Patron of the Trust here in the UK and has also agreed to be Patron for the Tait Performing Arts Association in Australia. We are also thrilled to congratulate him on being awarded the AM (Member in the General Division) part of the 2014 Queen’s Birthday Honours Australia. This has been a significant year for our new Patron as he was also awarded the coveted, JC Williamson Award from the Helpmann Awards. It is significant to us too as the Trust was created to memorialise the great work done by Sir Frank Tait and his four brothers when they ran The Firm/ J.C.Williamson’s Ltd. We are delighted to know that the name of this once great Australian firm has been immortalised in this wonderful award. Live Performance Australia (LPA) has today announced that revered theatre producer John Frost has been named the 2014 JC WILLIAMSON AWARD™ recipient. The JC WILLIAMSON AWARD™ is the foremost honour that the Australian live entertainment industry can bestow. The award recognises individuals who have made an outstanding contribution to the Australian live entertainment and performing arts industry and shaped the future of our industry for the better. Past winners include such iconic figures as Dame Joan Sutherland OM AC DBE, Barry Humphries AO CBE, Michael Gudinski AM, John Farnham AO and Graeme Murphy AM to name but a few. John Frost has produced some of Australia’s most successful musical theatre productions over the past 3 decades. From the early days of the Gordon Frost Organisation with Hello Dolly!, The Secret Garden, Cabaret and Crazy for You to blockbuster musicals of more recent times such as Wicked, The Sound Of Music, Annie, The Wizard of Oz, Grease The Arena Spectacular, Chicago, South Pacific and A Funny Thing Happened on the Way to the Forum, John Frost has nurtured and steered the careers of hundreds of cast and crew with his passion and imparting knowledge. This year alone sees him producing multiple shows around Australia including Grease, The Rocky Horror Picture Show, Wicked – 10th Anniversary production, The King and I with Opera Australia, and Once with the Melbourne Theatre Company. John commenced his impressive career at the age of 16 when he was employed as a dresser on the J.C. Williamson Ltd production of Mame. The dedicated teenager worked his way up within the theatre world to Wardrobe Master, Stage Manager, Company Manager and eventually Producer. Having produced countless successful Australian productions over the years John has also gained international respect having won 2 Tony Awards for the Broadway productions of Hairspray and The King and I and currently has 2 shows playing on London’s West End, The Bodyguard and Blithe Spirit. John’s Australian productions of The Producers, Wicked and Legally Blonde – The Musical won Helpmann Awards for Best Musical in 2005, 2009 and 2013 respectively. “I am truly grateful to Live Performance Australia and the JC Williamson Award Committee for this incredible honour. Receiving the JC Williamson Award™ is the highest tribute that can be bestowed on someone working in the performing arts industry, and to be acknowledged by my peers for a job I love is gratifying and inspiring. I’m humbled to be in the company of Googie Withers and John McCallum, Kenn Brodziak, Clifford Hocking, Tony Gould and other past recipients of this prestigious award. Thank you.” said John. John Frost will be honoured at an industry celebration hosted by LPA in association with Queensland Performing Arts Centre (QPAC) in Brisbane on Monday 19th May. The night will include special performances as well as a host of special guests paying tribute to the theatre impresario and his outstanding contribution to the live performance industry in Australia. NSW Minister for Tourism, Major Events and Minister for the Arts, George Souris today congratulated Mr Frost on his prestigious award, which will be presented at the Helpmann Awards at Sydney’s Capitol Theatre in August. The Helpmanns, supported by the NSW Government, recognises those who have made an outstanding contribution to the performing arts industry. “Over the past three decades, John Frost, who hails from Sydney has produced some of Australia’s most successful musical theatre productions, many of which have premiered right here in Sydney.” Mr Souris said. “It has been a great joy to work with my friend John Frost during this exciting period of development for Opera Australia. John is the ultimate professional and his advice and knowledge of the music theatre business is not only highly perceptive but it is fuelled by a real passion for the theatre. He is also a wonderful human being whose generosity of spirit and his genuine love of the theatre is inspiring to everyone who has had the privilege of working with him. He has been (and still is) an extraordinarily strong advocate for Australian artists and I believe that there is no-one who is more deserving of this prestigious award than John Frost….and there is no-one who is a finer ambassador for our industry.” said Lyndon Terracini, Artistic Director Opera Australia.